Description: Ladica is an ideal Women’s herbal tonic. It is a special preparation of standardized extract of Black Cohosh rhizome and root. 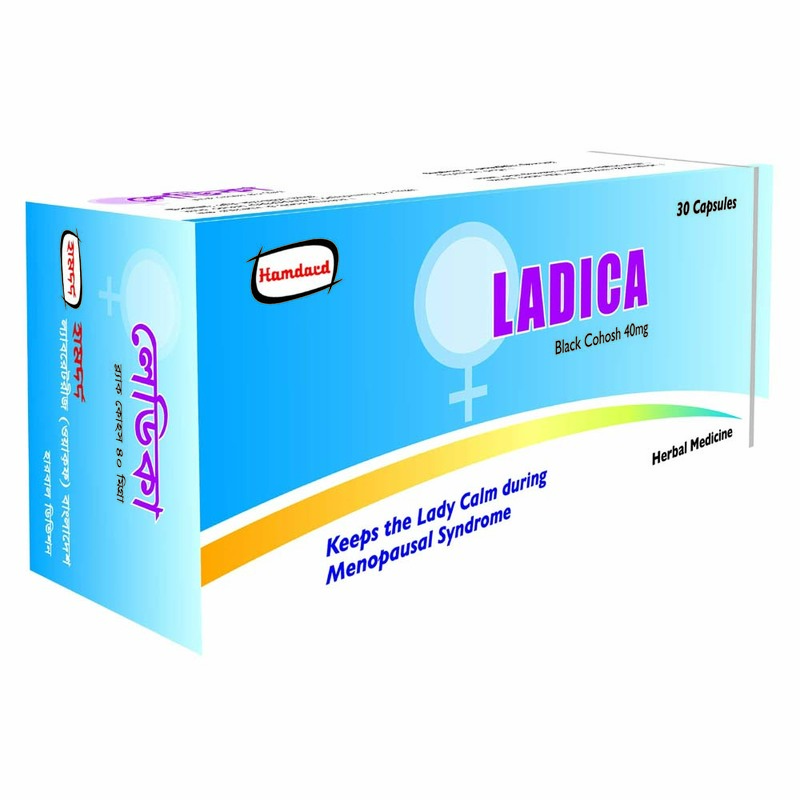 Ladica is a time-tested herbal medicine in the treatment of premenstrual & menopausal syndromes. It is proven to be effective, safe and well tolerated. Dosage & Administration: 1 capsule daily or as prescribed by the physician. Side effect: No significant side effect has been reported in therapeutic dosage. Over dosage may irritate the nervous system and may cause nausea, vomiting, headache, dizziness, limb pain etc. Contraindication: Black Cohosh is contraindicated in case of hypersensitivity to the plants. Precautions: Ladica should not be used during pregnancy, lactating mothers and children under the age of 12 years. Storage: Store in a cool and dry place, protect from sunlight. Keep out of reach of children.Presentation: Box contains 30 capsules in alu-alu blister pack. Composition: Each capsule contains 40mg standardized extract of Black Cohosh (Cimicifuga recemosa) rhizome & root.